Let’s take a closer look at what each of these options brings to the table. Available in a range of styles, colors, and patterns, fiber-cement siding is typically the siding we recommend to most homeowners. The main reason why is simply because the fiber-cement siding we use is virtually guaranteed to last for the lifetime of the home. If you’ve done any research into siding, you’ve likely discovered the James Hardie siding is the leader in fiber-cement options. Rigorously tested and designed to endure, all Hardie siding is vinyl-free, looks great while also being fire and storm resistant. On top of that, they carry a 50-year transferable warranty. They say everything sounds better on vinyl. There’s a good chance that if your home was built in the 60s or 70s, it was originally built with vinyl siding. 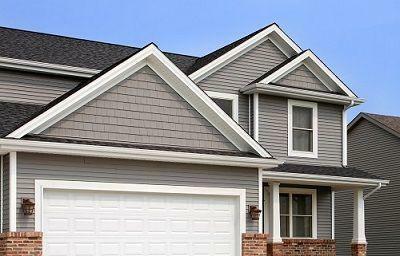 Easily mass-produced, durable and available in a wide range of colors, vinyl siding took the suburbs by storm for decades. While the first choice in siding tends to go with the fiber-cement option we talked about above, vinyl is still a viable option for homeowners looking to revitalize their old exterior, or for those looking to build a new one. 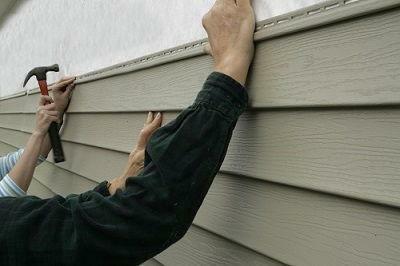 Falling somewhere between $2 and $7 per square foot, vinyl siding is typically the most affordable option. And at a typical lifespan of around 40 years, vinyl siding that’s maintained will hold up long enough for most homeowners to get the full value out of it. 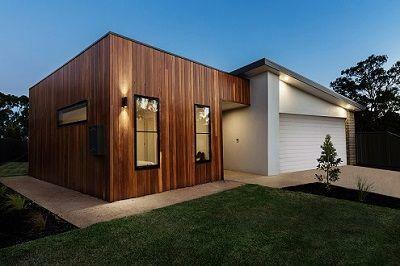 Less durable, but an emerging choice for modern homes is wood cladding systems. Often used as part of new builds, wood cladding is often coupled with solid tones or even another kind of siding for a modern, multi-dimensional look. With a natural resistance to rot and insects, Cedar is the first choice for homeowners seeking to stay with an organic, craftsman style of siding. Because it’s natural, wood tends not to last as long as the other options, but with the right upkeep and propert maintenance, can add a unique layer of character to your home for years. While there are some clear advantages and disadvantages to each type of siding, we find that most homeowners know what they’re getting into when they make their choice. And for everybody we install siding for, we make one thing clear, the best siding for your home is the stuff that’s been installed correctly. There are always shortcuts that can be taken when it comes to siding, and its those shortcuts that most commonly lead to siding that fails earlier than expected. If there’s a weakness in the installation, even the best siding won’t matter too much much. So whether it’s fiber-cement, vinyl or a wood-cladding two-tone, the best thing you can do to make sure your siding isn’t compromised, is to get it put in right the first time.